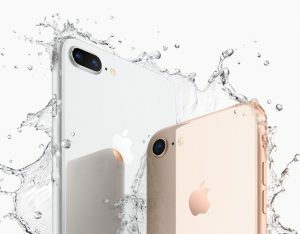 Apple might have positioned its new iPhone XR as the “budget” iPhone of the current generation, but if you’re looking for a recent iPhone and want to save a few hundred dollars, Apple has introduced an intriguing deal you should check out. Recently, Apple began selling refurbished 64GB iPhone 8 models from its online store. That’s $100 cheaper than the current suggested retail price of a brand new iPhone 8 from Apple or a third-party retailer. Supply is limited, but as long as Apple receives your full payment, you are guaranteed to receive a refurbished phone. If you are desperate to replace a new iPhone, but aren’t ready to shell out over $1,000 for an iPhone XS or iPhone XS Max, the iPhone 8 is still a capable smartphone that will support Apple’s software updates for years to come. As an iPhone 8 owner myself, I didn’t feel any pressure to move on to the XS this year. Apple is currently stocking unlocked gold, silver, and space gray 64GB iPhone 8 models, all priced at $499. While the iPhone 8 Plus has also been available refurbished in the past, it does not appear to be available at the moment. Apple slashed the prices of both the iPhone 8 and 8 Plus by $100 when it launched the iPhone XS, bringing the retail prices of the two phones to $599 and $699, respectively. It’s a total mystery whether or not the refurbished iPhone 8 Plus will ever be back in stock online, but multiple models of the iPhone 7 and 7 Plus are still being sold, for $379 and $469, respectively.